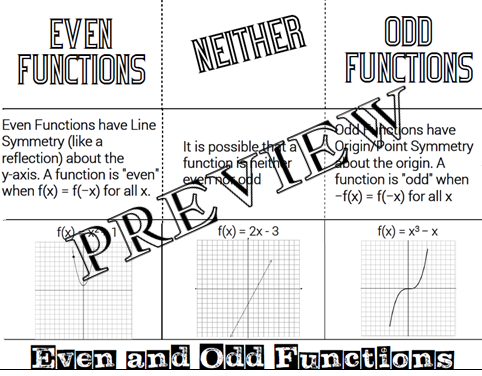 This is a single page PDF foldable that explains the concepts of Even and Odd Functions. When printed as is, the foldable will fit a spiral notebook page; however, if intended to fit on a composition notebook page then scale the foldable to 85% prior to printing. The folding, cutting and gluing instructions are included. This is a 2 page PDF file that contains Representing Relations Exit Tickets. The first page contains (2) exit tickets and the second page contains the answer key. 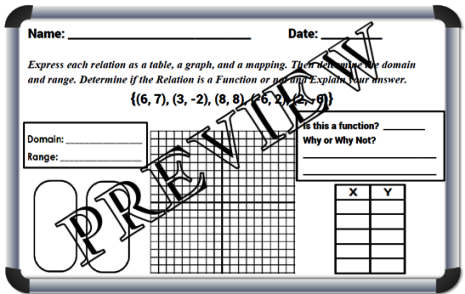 The Exit Ticket assesses the student’s understanding of Representing Relations: as a graph, as a table of values, as a mapping diagram and identifying the domain and range. 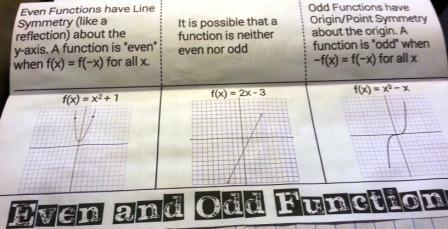 Additionally, the student must decide if the Relation is a Function and explain their answer. Need More Relations Resources? 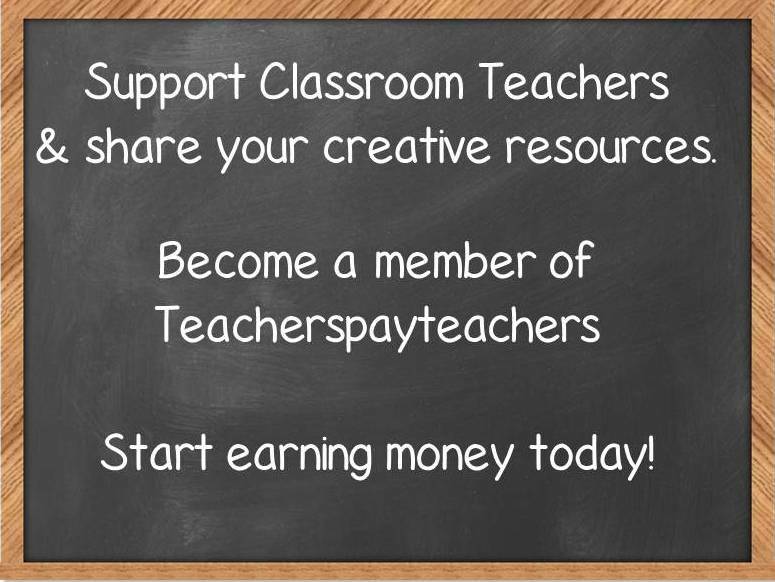 Check out the resources available in my TpT Store. 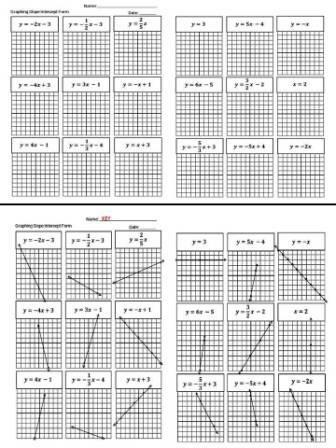 This is a 2 page PDF document that assesses a student’s ability to graph slope intercept form equations. The assignment includes (18) equations and graphs. 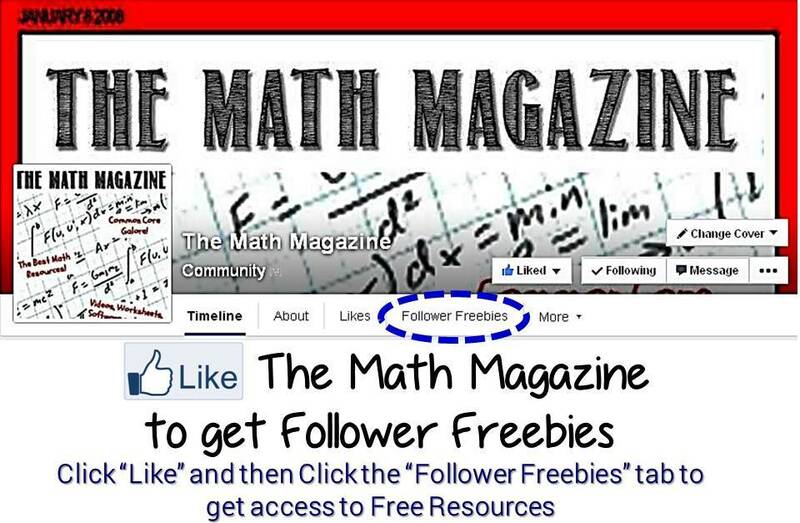 Need more Linear Equations Resources? Check out these items available in my TpT Store.